Robin Hood Community Garden, at the South East corner of Springfield Park. FREE PIZZA made in the wood fired cob pizza oven on site! 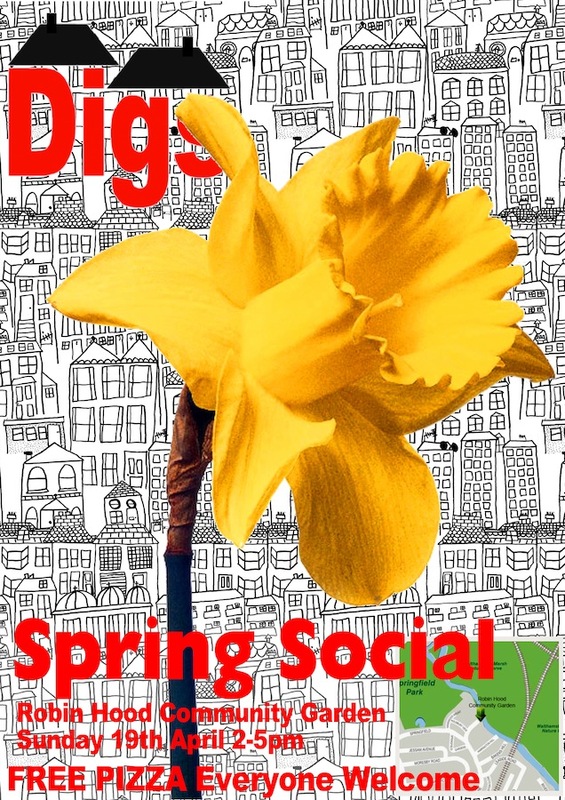 Everyone is welcome, bring your friends and family, and come and meet other Digs members, find out what Digs is up to these days, and (fingers crossed) enjoy the sun.